St John Wales needed a new website to appeal directly to potential young recruits to join the St John cadet program. Whilst they had a main, existing, all purpose website, it made sense to have a separate micro-site which was just focussed on this youth audience (& their needs). Our proven process was used to help define the structure, user journey, and experience of the new website. 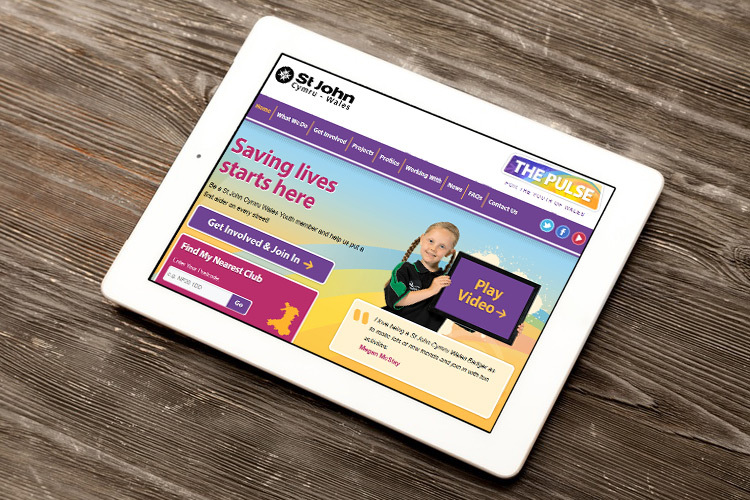 The final website was fully responsive, and bespoke designed to the needs of the younger audience (and, importantly, their parents). The website was based on a heavily customised version of the WordPress publishing platform. Full training was provided.